Parshat Shemini: Are These Strawberries Kosher? This week’s Dvar Torah was written by Marsha B. Cohen, PhD., a long-time Melton & More teacher, who will be honored at CAJE’s Melton Graduation on Sunday, May 19th. A popular kosher deli in Amsterdam went out of business a few weeks ago. Kosher eateries around the world are closing their doors. New York City alone lost fifteen kosher restaurants in 2018. Besides the usual challenges faced by retail establishments in areas where rentals have soared, kosher eateries face numerous challenges in complying with government regulations and increasingly rigorous standards of hashgacha—rabbinical supervision to assure compliance with the laws and practices required to certify food as kosher—i.e. fit for consumption. This week’s Torah portion, Shemini, lays out the foundational principles for the laws of kashrut in the 11th chapter of Leviticus. Land animals must have hooves and chew their cud (11:2-8). Seafood must have fins and scales (11:9-12). No specific physical characteristics of fowl are specified, but one may infer from the birds enumerated as “abominations” and may not be consumed that they tend to be birds of prey, and more broadly, birds that are not commonly domesticated as “poultry” (11:13-19). The Amsterdam deli’s most popular menu items were meat sandwiches and Dutch fish cakes. The procedures of Jewish ritual slaughter have attracted scrutiny in various European countries and been criticized as “inhumane.” Compliance with the higher standards imposed by secular authorities on kosher (and Muslim halal) meat has them less available and more expensive. The kosher slaughterhouse that provided Sal Meyer with its meat, warned the restaurant back in 2017 that limitations imposed by the Dutch government on ritually slaughtered meat were causing prices to rise. But pressure from government agencies regarding ritual slaughter isn’t the only kashrut issue making kosher compliance more difficult and expensive. Stringencies demanded by the most meticulously kashrut observant Jews, to whose standards kosher certified restaurants must cater if they are to stay in business, are also becoming more rigorous and challenging. Also forbidden by this week’s Torah portion are various four-legged creatures categorized as sheretz: mice and moles; lizards and chameleons; geckos and crocodiles (11:27-38). Consumption of all types of creepy-crawlies and flying insects is prohibited, although surprisingly, all varieties of locusts, crickets and grasshoppers are okay (11:20-23; 41-44). And no bugs. In recent years, kashrut supervisory organizations, competing with one another to set and stake a claim to the ultimate standard of kosher observance, have focused almost obsessively on the possible presence of bugs, making hechsher (rabbinic supervision) even of restaurants that don’t serve meat more rigorous, time-consuming and expensive. Fear of inadvertent ingestion of insects is making it much more complicated—and next to impossible—for the machmir (meticulously observant) Jew to consume a wide variety of fresh fruits and vegetables. Among numerous targets of rabbinic scrutiny are strawberries, asparagus, mushrooms artichokes, leafy greens including lettuces, spinach and herbs, and crucifers (broccoli, cauliflower, brussels sprouts). Procedures that go well beyond thorough washing and conventional notions of cleanliness and purity are required to assure that fresh, frozen and processed produce are free of any potential contamination by aphids, thrips, leaf miners, and even microscopic insects. The website of one highly respected kashrut certifying agency asserts that “Broccoli can be heavily infested with aphids. In fact, it is possible to find even more than a dozen aphids in a single floret! It is important to note that raw broccoli cannot be effectively inspected. Insects are embedded in the very depths of the floret, and it is impossible to inspect the depths of a raw broccoli floret without ruining and breaking apart the floret.” The underside and inner depths of each individual floret must be therefore be carefully inspected after it has been par-boiled or microwaved. If this sounds complicated, the requirements for ridding asparagus of possible infestation are so rigorous as to render most of the vegetable inedible “Asparagus can contain thrips in the tip of the asparagus and under the triangles along the sides of the stem. Therefore, it is recommended to cut off the top of the asparagus and peel the sides.” One might well ask, “Why bother?” Indeed, some vegetables such as brussel sprouts are “not recommended” altogether. Add to the list of stringencies required of kosher restaurants by the most discerning of clients is the demand for pat Yisrael baked goods from yashan flour, and chalav Yisrael dairy products, to encourage production of food staples by observant Jews. In Israel, restrictions that have nothing whatsoever to do with food threaten restaurants and hotels with loss of their kosher certification<, such as a recent case of accused Sabbath desecration by a non-Jewish employee, or allowing a private religious service on the premises at which women are permitted to hold or read from the Torah. No one wants to eat bugs. But the rising costs and the difficulty of finding rabbinical supervision that will meet steadily rising and more militant standards of compliance demanded by kashrut organizations competing for supremacy may ultimately doom the kosher restaurant industry. Sadly, these standards create still more barriers, not just between Jews who eat kosher and those who eat treif (nonkosher food), but also between Jews who don’t eat asparagus and strawberries, and those who do. 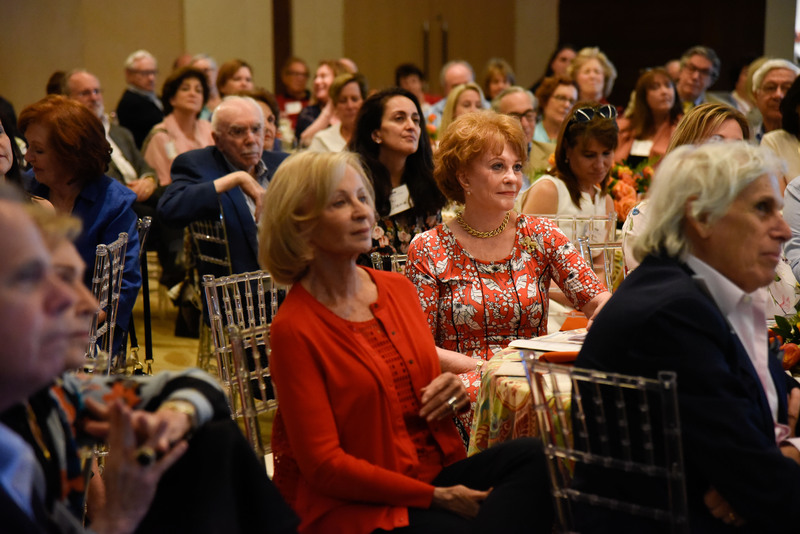 The wonderful CAJE Celebration of Learning annual fundraising event took place this past Sunday. Over 160 people attended and enjoyed hearing Rabbi Leonid Feldman speak about his life in the Soviet Union, which made all present truly appreciate the freedom we have to be Jewish here in the United States. 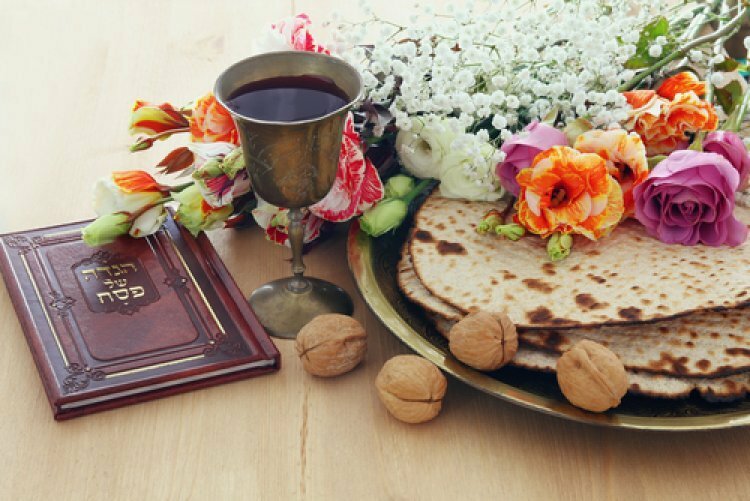 The spring holidays are of tremendous historical meaning and very intense (the ridding of chametz/leavened products), the Seder, Holocaust memorials and the intense emotion of Israeli Independence day, while ending with the quiet and calm of study on Shavuot. Often mistranslated as “leprosy,” Metzora seems to refer to some type of eruptive mold that infects people, clothing or even dwellings. If its presence was suspected, a priest would be called, not only to examine the affected area, but also, if necessary, to initiate an intricate ritual of cleansing and purification: isolating the individual or clothing, sealing up the dwelling, possible destruction of the house itself, the sacrificing of birds, lambs, grain, oil, as well as the concomitant sprinkling of blood on the altar, the individual and the priest.